Manama: A victorious Lewis Hamilton moved to defend his rival Sebastian Vettel as the four-time champion’s recent form came under scrutiny following another costly spin in Sunday’s Bahrain Grand Prix. His spin at the Bahrain International Circuit, where Hamilton led his teammate Valtteri Bottas home for a second straight season-opening Mercedes one-two, was his fourth in 10 races. 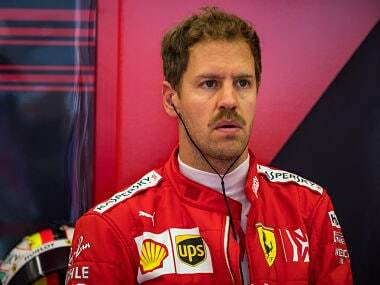 Vettel has won 52 Grands Prix and four world titles but has struggled to master Hamilton’s speed and race-craft in the last two seasons despite spells during which he and Ferrari appeared to have a faster car. “We were quick in testing and then there were massive differences in the car in the race and you’re just driving with your hand behind your back. You’ve got no grip. And then, another race, and it’s the other way.